Borealis, a leading provider of innovative solutions in the fields of polyolefins, base chemicals and fertilizers, announces its participation at Pharmapack North America from June 10-12, 2014. As a showcase for the most innovative technologies in pharmaceutical packaging and drug delivery devices, Pharmapack North America is the ideal opportunity for Borealis to promote its expanded scope of commitment to the North American market. It will highlight new Bormed™ product developments and publicise recent market activities carried out within the framework of its cooperation with Nexeo Solutions. Borealis continues to deliver new and innovative materials that meet specific North American healthcare market requirements. Returning for the third time to this major event, Borealis representatives will use this opportunity to enter into direct dialogue with customers and promote three newly-developed grades. 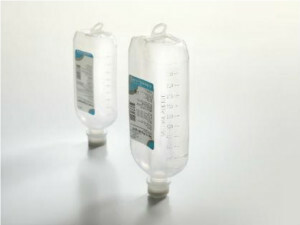 – Launched at the K 2013 fair in Germany, Bormed SB815MO is a step-change innovation in soft polypropylene (PP). It provides unparalleled flexibility, with stiffness levels normally associated with low density polyethylene (LDPE). Parenteral containers can be sterilised at a higher temperature than standard LDPE material, allowing for up to 50% shorter sterilisation cycle time. -Developed especially for non-oriented cast film on chill-roll process and blown film on tubular water quenching process, Bormed SC876CF will be launched at the end of June 2014. Providing an excellent balance between high toughness and high transparency, even after steam sterilisation at 121°C, this new grade is fully European and U.S. Pharmacopeia compliant. The judicious combination of physical properties allows for a significant reduction of more costly impact modifier in film formulation, as used for example in bags for intravenously-administered drugs. The overall aim is to reduce the share of impact modifier by at least 50%. -Also launching in June 2014 is Bormed HJ875MO, a material produced with a catalyst system that combines high fluidity (MFR 75) with an animal-derivative free, extractable minimising additive package. Developed for use in healthcare applications in which the combination of high fluidity and HC-appropriate production/additives are necessary, this new grade is ideally suited for application in Polymerase Chain Reaction (PCR) plates, multi-well titre plates, pipette tips, and more. In addition to the supply security of Bormed grades ensured by Nexeo’s distribution network, other joint activities that serve to signal commitment to the North American market include: alignment of marketing activities, joint visits to customers and trade partners, exchange of innovation expertise, and joint presence at trade shows. Pharmapack North America 2014 follows on the heels of a second appearance at another major U.S. event for the medical device industry, MD&M West.